Provide a casework and case management service to Aboriginal children living in out of home care and ensure that the children’s needs are met using a developmental and trauma informed approach. Regularly visits the children and young people in placements. Provide cultural information and support to foster carers. Ensures access between the children and their parents or other family members occurs as per the child’s case plan. Identify children’s needs using the Looking After Children framework and the resources needed to meet these needs as well as completing LAC documentation. Accurately update and maintain client data on the CRISSP and CRIS electronic data systems. Assist in Quality Improvement activities to ensure agency compliance with the Community Service Organization Registration Standards. Undertake other duties as directed. An ability to work flexible hours will be required. A knowledge and understanding of Aboriginal culture and issues facing Aboriginal children and their families today. Ability to advocate for Aboriginal children and communicate in a clear, culturally appropriate and respectful way with a range of stakeholders including staff and external parties. Ability to identify the training and support needs of carers. Excellent communication , interpersonal & writing skills, with the ability to write reports, including court reports. Capacity to work both independently, and as a member of the team and a willingness to participate in training and supervision as requested. Qualification required in Community Services / Social Work / Psych or similar. Applications close 29/03 however interviews are being conducted this week. We are looking for passionate people who show great empathy, have experience working within the Aboriginal Community or are culturally aware having worked for Aboriginal organisations or people, who just don’t hear but truly listen to the voices of the children, and make a difference in the Children’s lives being that great advocate! If this sounds like you, then do not hesitate to apply, if you are successful you will work with an amazing team, and the coolest, most supportive and approachable Manager – what more could you ask for! The Victorian Aboriginal Child Care Agency (VACCA) operates within the context that Aboriginal children continue to be significantly over-represented in the protection and care system within Victoria. VACCA considers that it has the responsibility and the opportunity to promote, advocate for and achieve positive changes in the lives of Aboriginal children, their families and the broader Aboriginal community. VACCA's objectives include the preservation, strengthening and protection of the cultural and spiritual identity of Aboriginal children and to provide culturally appropriate and quality services, which are responsive to the needs of the Aboriginal community. Child FIRST, Family Violence and Playgroup, Out of Home Care which includes Foster Care, Kinship Care, Residential Care, Permanent Care, Adolescent Community Placement, Leaving Care, Cradle to Kinder and Koori Cultural Support Programs as well as Youth Homelessness services. VACCA provides community cultural strengthening programs as well as Koorie Connect, a case referral service, services to Stolen Generation members through Link Up. 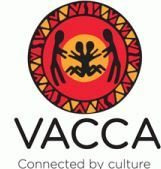 VACCA also has the Aboriginal Child and Specialist Advice and Support Service (ACSASS) which provides cultural advice to child protection staff and Aboriginal children and families involved in child protection matters. The Extended Care Program provides a culturally safe service to support Aboriginal children and young people who are in out-of-home placements. The Program provides support to the families of the children and to carers. VACCA works towards reuniting children, wherever possible, with natural parents and extended families. Please quote in application: Foster Care Case Manager via Pro Bono Australia.